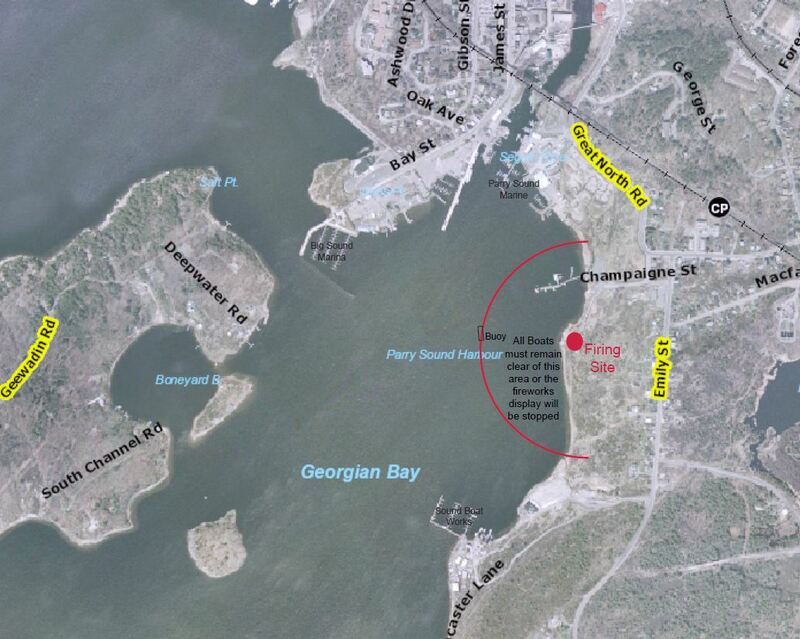 The Parry Sound Chamber of Commerce has asked us to let people know that there is a ‘no boat’ zone with respect to the firework display on Canada Day. Should any boats float into the prohibited zone the fireworks will be stopped at once. So please let others know about the ‘no boat’ zone so there will be no interruption of what usually is a spectacular fireworks display. I’ll be onshore taking photos of the fireworks and the squadron sail-past for the next issue of the Bridge.